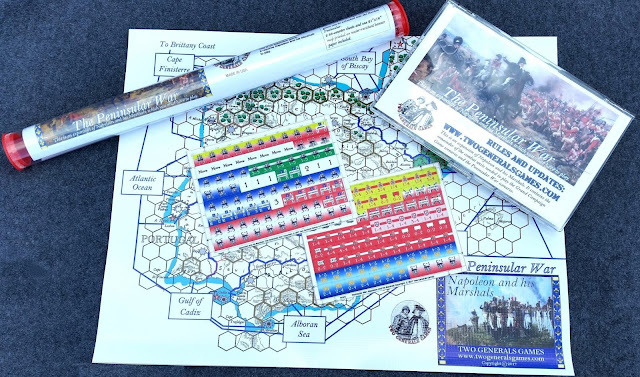 For your Wargamer, Toy soldier collector, MiniFig collector, military history nut. Reviews, interviews, Model Making, AARs and books! Command: Desert Storm is the latest DLC pack for WarfareSim's Command: Modern Air Naval Operations (CMANO) which originally came out back in 2013. (How the time flies!). Like other such mission packs for CMANO, Desert Storm can either be purchased as an addition to your CMANO library, or can stand on its own if you have not yet purchased the core game. I'll go ahead and say right now, this is not the best way to dip your toe in the CMANO waters if you have not yet tried the system. 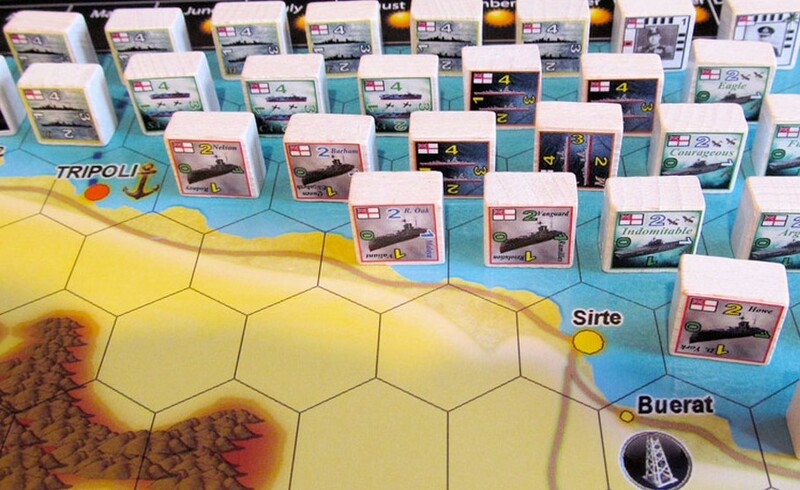 Desert Storm is going to appeal far more to the seasoned player by offering an interesting set of 15 large scenarios. If you aren't familiar at all with CMANO, you might want to start with my review of Shifting Sands, one of the previous DLC mission packs, where I wrote about the core game quite a bit. Or just hop on over to YouTube and find some gameplay videos. You'll quickly see the kind of gameplay you're getting here. What makes the Persian Gulf War interesting enough to justify an entire DLC pack? The original CMANO release even includes a pretty substantial Gulf War scenario, why add on a whole pack of them? I wasn't so sure myself until read through the scenario mission briefings, which provide some great insight into all the different aspects of the campaign. While we can all look back and remember the end of the story, how Western air power absolutely crushed the Iraqi military, at the time no one was quite so sure how it would turn out. The United States had not conducted a military operation anywhere near this scale since Vietnam. The Iraqi's had Soviet aircraft and tanks that were aging but still dangerous, and an army full of veterans from the Iran-Iraq War. Would all the advanced technology of the United States prove itself useful or a waste of money? Well, we know the answer to that. The Gulf War brought conventional warfare into a new age. One in which control of the skies meant complete control of the battlefield. Laser guided bombs dropped from stealth bombers and fighter jets could easily knock out one Iraqi tank after another. Bunker busting bombs could crack open hardened aircraft hangers thought to be impregnable. Iraq's vast network of SAM sites and aircraft radars could be picked apart by highly coordinated coalition aircraft. The entire paradigm of conventional warfare has been changed ever since. Command: Desert Storm gives you a chance to take on the role of mission planner and recreate (well, try your best anyway) the massive success that was achieved. There are 14 Gulf War scenarios here, most historical, with a few hypotheticals thrown in. There is also a hypothetical 2019 Israel vs Iran scenario thrown in there to offer buyers a little of something different to round out the package. Players may be disappointed to learn that there is not a monster scenario of the entire conflict, nor is this a dynamic campaign or a chronological series of scenarios telling a narrative. These scenarios instead offer a smaller chunks of the conflict, highlighting one interesting aspect of the war in each case. There is a mission for hunting down the SCUD launchers, another for targeting the suspected chemical weapons. There is a mission recreating the "Highway of Death" stage of the battle in which you have control over at least 200 aircraft, I couldn't even count them all. While most of the missions are almost exclusively air campaigns (with a carrier group or two around as a base of operations), there is one mission where you are maneuvering some naval assets around the Strait of Hormuz, highlighting just how strategic that bit of geography can be for all involved and another that features the naval battle of Bubiyan. There's are no ground battles, as you might have hoped from the theater depicted. A few divisions make an appearance, but if you're doing your job right they'll never get a chance to shoot anything. I found the very first scenario especially interesting in its choice of topic. That is the initial shifting of assets from other places to the Gulf. You might be thinking, how hard could it be to move some units around? Well, it ends up being quite the logistical dance when you are trying to rapidly move dozens of aircraft from all over the globe, even from the US itself, to the Middle East, while the situation on the ground continues to develop. Tankers need to be stationed along the routes, and vulnerable aircraft still need escorts since you don't know when hostilities might break out. The whole time while playing I was imagining how this played out in real life. I was also a fan of how some of the hypothetical scenarios can bring Iran into the war. You don't know exactly when or if they will strike, and due to the geography of the gulf you can't avoid getting uncomfortably close to their shores. There are also civilian and Soviet units out there, so you can't just lash out at every sensor contact. It makes for some tense moments, as this uncertainty creates a fog of war even in the age of long range radar. Taken all together, the scenarios available here give you a picture of each stage of the war roughly in sequence. The rapid logistical buildup, the first night of bombings, the scramble to take out SCUD launchers and chemical weapons, and the large scale air campaigns which decisively won the war for the coalition. The hypothetical scenarios let you take a stab at many of the what-ifs and offer a greater challenge than the strictly historical pieces. The Marines are on the way, but will there be anything for them to fight when they get there? There's not much more to say that wouldn't involve simply describing each of the scenarios. This is a DLC pack that gives you exactly what it says on the box. 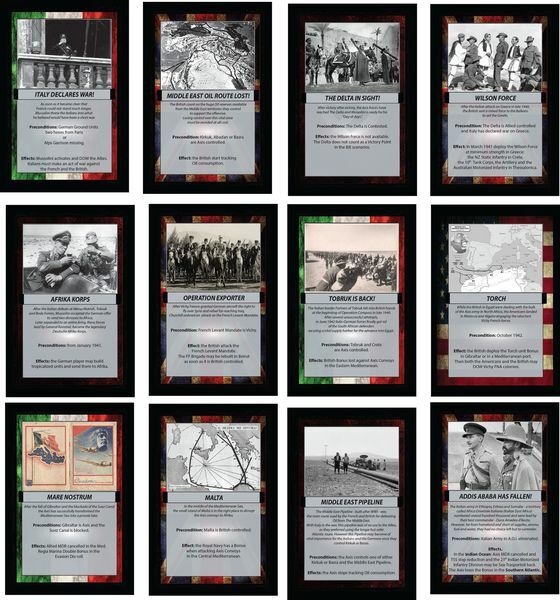 15 new scenarios, of high quality, with a mix of hypothetical and historical events. If you are looking to take a deep dive into the Persian Gulf War, this is the pack for you. $20 will get you many hours of gameplay, as all of the missions are on the bigger, more complex end of the spectrum, some especially so. As I mentioned before, newbies are probably better off grabbing the Northern Inferno pack if they are looking for a taste of what CMANO can offer. For veteran CMANO players just itching for some new scenarios to test their skills on, this is an easy recommendation. Command: Desert Storm is available either directly from Matrix Games/Slitherine or on Steam. What we actually have here in our hot little hands is an incredibly thorough almost simulation of the Second World War in the Mediterranean and adjoining areas in Asia. It comes with a Basic set of rules (still very deep), and then an Advanced set of rules followed by some optional rules. What I especially like is that the naval war has not just been tacked onto the game as an afterthought. It receives the scrutiny and importance that it deserves. After all, the area of the map is mostly sea. There are actually some naval only scenarios. performed in a precise order. are checked. The turn is now over and a new one may begin. The Weather is always considered good when playing BIA. I may not be the best person to do a review of VentoNuovo Games. I have to admit that I am an unabashed fanboy. All of the games I have reviewed so far from them have been, I dare say, great. The rules are well written and the components are first rate. This game is not any different. The components are very well done. The map is colorful, but if there was anything to bash the game is that the map is a bit too busy. There is, however, a very good reason for this. The map hexes represent 43 miles (70km) across. So that is a lot of territory and information to fit into some hexes. The map itself is 87cm x 64cm large. There is one questionable design decision with the map. There is an extra piece of the map that comes with the game. It is slightly larger than a copier sheet and represents the area around Tripoli. The only issue is that it also has needed game information on the other side. I realize in this day and age most people could just copy the back, but it still seems a weird decision. 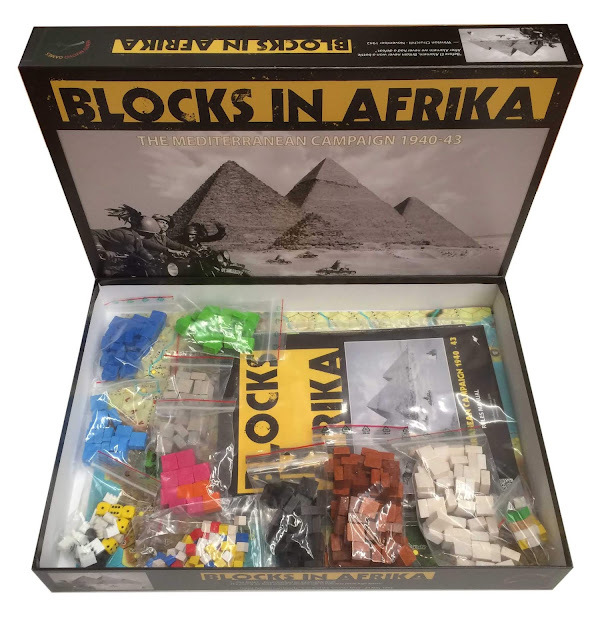 This game is part of a trilogy from VentoNuovo Games that includes this game and 'Blocks in the West' and 'Blocks in the East'. Some of the components that are included are only used if playing all three together. 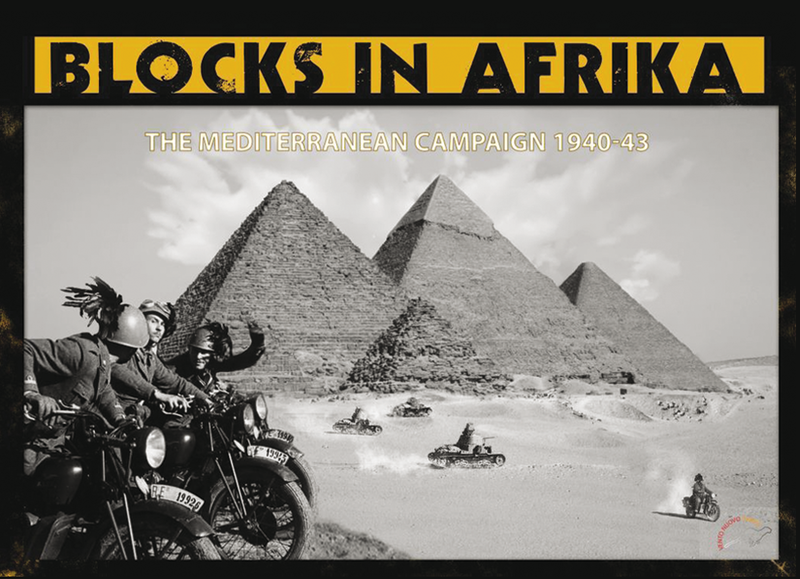 I will have a review of 'Blocks in the West' coming up. I will also have links to the different games and rules etc. at the end of the review. You can also separately purchase a pack of twelve special event cards. So how does it play? The scenarios are all very short as far as turn length. There are only 1-5 turns in each of the scenarios. The naval scenarios go from 1-3 turns.There are also listed in the rulebook the difficulty levels of each scenario. These go from 1-6 on a 1-10 scale. 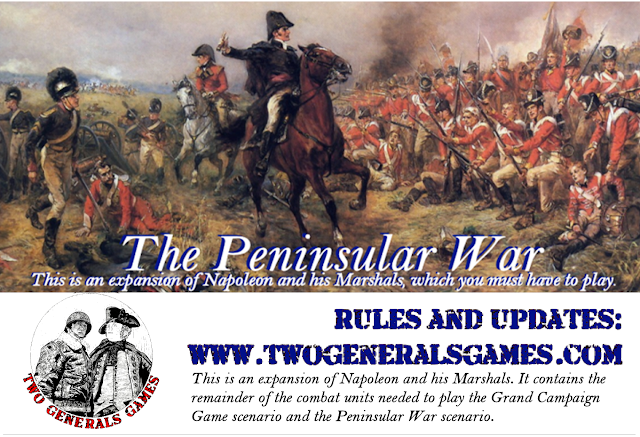 The rulebook is only 28 pages and that includes four pages on the scenarios. So even with the Advanced Rules it is a comprehensive, but still playable game of the Mediterranean theater during 1940-1943. The gameplay is nowhere near as fast and furious as other VentoNuovo Games. It really cannot be. There are just too many things to think about, especially once you add the Advanced rules to the mix. This is a mulling over and thinking block game. That is not to say the other games did not have depth, just not to the extent that this game has. There was more to learn in this rulebook than the others, but it is written in an easy to learn manner. It is a great game and a huge undertaking when you combine even two of the fronts together. It is a game you can truly get lost in. The campaign game when all three games are together is a staggering 79 turns. Thank you VentoNuovo for the chance to review this game. Well the Force is strongly with us once more and looking at the box and even inside the box, you could be forgiven for thinking that very little has changed. Looking closely, I didn't find much to make me depart from that initial impression. The packaging, storage of the ships, and all the markers, range ruler and movement templates, dice etc are totally the same. So what are the differences and how significant are they? Well, the rule book is eight pages shorter!! Wasn't expecting that. The T-65 X-wing model has pivoting S-foils. A neat touch to physically show the switch to the attack position, but a cosmetic nicety at bottom. The Manoeuvre Dials are slightly less impressive, but are far more functional. Unlike the original where you could only see the movement chosen and could only check the range of a particular craft's manoeuvres by dialling through them, the face of the new dials displays all the move types and you rotate the back disc to point down at your choice of manoeuvre. That is a really helpful change. Here you can see the revamped, easy to read manoeuvre dials plus the ship tokens to fit in the bases, followed by the normal, three basic ships: one X-wing and two Tie-fighters. The organisation of the rule book follows generally the sequence as before. A page of Fundamental Concepts is slipped in between Components and Set Up, which now has a much smaller diagram and, in the main, all illustrations tend to be smaller. The key one omitted, which surprises me, is the very useful Ship Card Anatomy. Instead, you get a thorough example of how to use the new Position Marker. a very good addition to the card board components that helps you mark the position of a ship that is obstructing the path of another ship's manoeuvre, but not something that needs a careful set of eight little pictures to show you how to use it. It seems especially unnecessary when the original important Example of an Attack is paired down from 2 full pages to 3/4 of a page. My impression is that the small number of new elements has perhaps drawn the focus from basic points. Of these other new features, often linked to new markers, is the addition of Force Charges - that's definitely a concept that deserves to have been introduced. with several new ones making an appearance. There are several other tweaks added through new tokens, though I found the list of concepts about gaining and spending tokens seemed almost too obvious to be necessary. By contrast, the introduction of new Actions, such as Cloak, Jam and Reinforce are very welcome. Finally, among the changes is one to Squad Building, which features in both sets of rules and is only applicable in moving to games involving more than the three ships in the core box. This has been developed by providing Quick Build cards that provide predetermined choices. I like this for ease of play especially for those coming new to the game. However, they would seem to have taken the place of the three Missions provided in the original base game. The next step I really didn't like. When you want to move on to the full player control of the traditional points building system, you have to download the Squad Builder ap. A small advantage of this is that the ap. prevents you from accidently [or, heaven forbid, deliberately] building an illegal squad. I know that there won't be many who don't have the necessary smart phone/tablet/etc., but I'm not in favour of it being wholly out of the realms of a paper print-out. In conclusion, the new edition is every bit as good as the old one and overall the addition of new Actions and their related tokens is to be welcomed. For the person new to X-wing, all's fine. For those, like myself, with 2 copies of the original edition plus a variety of other ships, including a Millenium Falcon, I have more than enough to indulge any Star Wars' inclination I have and won't feel the need to follw the new star. My concern is for the dedicated or even marginal Tournament player. Will they be facing a whole new outlay to take part, with once again Wave on Wave of ships or a whole series of conversion kits? As always thanks to Asmodee for providing not only the review copy, but three bonus ships. This review will cover two closely linked BattleTech packages: the Beginner Box and what should be regarded as the core game which bears the subtitle "A game of Armored Combat". At this point I think it's important to state that in examining these two games I am teetering on the very edge of my comfort zone. As previous reviews will have made clear, I am not adverse to games involving miniatures, nor complex games with a significant depth of rules, though the days when I happily played and reviewed World In Flames for the pre-internet magazine world are a past country. However, light skirmish games like Deadzone 2 are my preferred choice when I stray away from my more comfortable realm of counters and hexes or blocks and area movement. Even when BattleTech first appeared in the 1980s, a game that focused on a few mighty machines, albeit with a human controller inside, and photocopiable diagrams of outer carapaces and inner constructions that needed locations to be crossed off/coloured in to show growing damage was not a likely choice for me. However, that personal caveat doesn't stop me appreciating the many qualities of this game and, as these two packages are hopefully the jumping off point for a whole new generation of gamers, this review is intended to help them decide whether BattleTech may be a universe they might want to launch themselves into. The quality that jumps straight out at you immediately is the physical production. The bold colours of the art work adorn the type of deep, well-constructed box that we associate with the top end of game company production from the likes of GMT and DVG. This is a far cry from the sort of flimsy container of the 80s that the original game was housed in. But what I think stands out most of all when you open the box is the high quality of the miniatures. This was a feature criticised by many in earlier editions. Virtually all are a standard 2 " tall on hexagonal bases that perfectly fit the map hexes that they will stand on. The poses are dynamic and have a heft and bulk that adds to their appearance. Having been the painter of many Warhammer miniatures in the early days of my son's 40K journey, I really like these figures that have large plains and deep grooves that allow swifter painting of large areas of colour enhanced by dark washes and easy highlighting. These figures really do make you want to get them out on the battlefield. The Beginner's Game comes with just two figures [and eight cardboard standees] and a single double-sided paper map, while the core game boasts the eight figures seen above [plus nine extra standees] and two double-sided maps. I was also very fortunate to be sent, along with these two review copies, the expansion map pack set of six additional maps. All are 18" x 22" and look brilliant. They are a visual delight. Especially the way height of terrain is conveyed gives an almost 3D effect [as can be seen below] and both games contain a small selection of additional thick cardboard terrain overlays. If only the maps themselves had been of the sort of cardstock familiar from Columbia Games' maps. Indeed, the one downside is that the new production uses extremely thin paper and I do mean extremely! After folding one map up twice, it's already showing wear on the folds. Using my normal practice of storing maps permanently flat means I shouldn't have undue problems, but most gamers I know are unlikely to follow suit. Another feature whose value I still remain unsure about is the decision that hexes that provide Light or Heavy cover actually have the words printed in the hex and any hex Level above 0 is also printed on the map. The importance of Levels may justify this, but as the base of each model exactly covers the hex, when you need that info you have to lift up the model to confirm it. As expected, in the core game, there are full size record sheets that contain all the many essential statistics for each type of mech along with the all-important diagram on which you check off damage to the target area that has been hit. These are absolutely essential and though not a fan of this type of record-keeping there clearly is no other way to handle the level of detail that has always been a main feature of BattleTech. The way in which damage to the outer armour, once it has been totally destroyed in a given location, can be transferred to the inner structure is a key element of the minutiae of the tactical attack system. In order to create a much faster and stripped-down version for the Beginner Box, this is one aspect that has been modified, as only the external armour takes damage. As a result the A4 size record sheets in black and white have become much smaller cards with a central picture of the mech in colour. As the game is very heavy on detail and depth this is understandable, but the satisfaction of shooting away part of the outer carapace to reveal the more vulnerable inner workings with the resulting chance of a critical hit is a hugely enjoyable part of the tension and tactics of the game. For those of you familiar with the game, looking at the card above, you can also see that the concept of Heat has also been removed from the Beginner's rules. For those of you coming new to BattleTech, Heat is a very important aspect to be dealt with. Virtually all actions generated Heat, that had its own track for recording it. Mechs inevitably reached a point when they needed to disperse Heat or risk the dire consequences. Equally damage to a Mech might result in that Heat dispersing equipment being damaged. Having touched on just how much there is to learn, it's no surprise that the core game has a substantial rule book. In this new edition, it comes to a meaty 56 pages: broken down into 44 pages of rules, 4 pages for the scenarios and 8 pages explaining how to construct/design your own mechs. Substantial as this may sound, it still pales against the length of some of the manuals I've heard referred to in videos teaching the main rules [e.g. "… on page 104.."]. A consequence of this depth is that, if you are going to invest beyond the Beginner's Box, then you can expect to be totting up as standard practice modifier after modifier for every single weapon you fire, on every single mech, on every single attack, on every single turn. 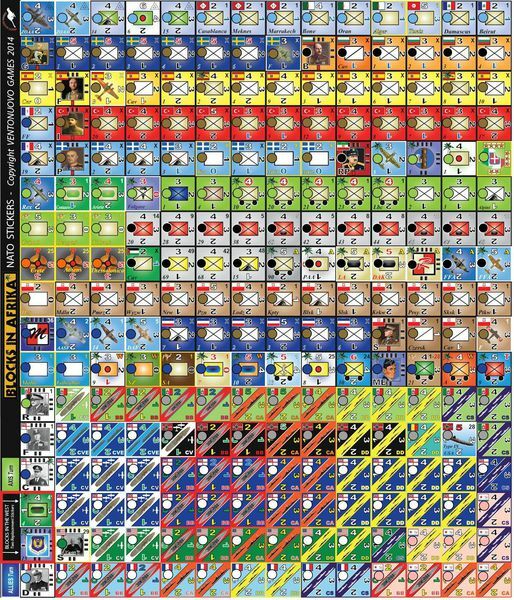 Some of these will become almost second nature to you, but far more will involve you checking on the mech's stats sheets and on one or more of the many tables contained in the rule book and reproduced on the two identical Player Aid cards. Then you will be doing the same for any physical attacks your mechs subsequently make. Even calculating line of sight, never the simplest of tasks in any game, has its extra difficulties, as mechs themselves stand two levels high. Besides that additional factor, the fact that some of your weapons are attached to arms and some to legs means that having established a LOS doesn't necessarily mean every gun can then physically fire at its target. That Combat alone takes up 17 pages of rules emphasises two things: the level of detail in this game and the very strong focus on battle. Manoeuvre plays its part, but combat with a multiplicity of weapons and directly too with mighty kicks and punches is at the heart of this game. Not to mention the ability of your mechs to jump high and come crashing down on your opponent's mechs with all the weight of their tonnage!!! Just explaining Damage takes up a further seven pages, ending in the very useful flow-chart viewed below. So, how well does the substantial rule book fair in conveying and making clear all this information? Starting from the simple cosmetic level, it really looks the works with a very good weight of glossy paper, a very helpful index at the beginning and very clear, colour illustrations. Each section [e.g. Movement, Combat, Damage] is highlighted at the top of each page in white, while side-headings are in prominent bold black capitals. But far more important than its appearance is the reality that the rule book does a very, very good job of guiding you step by step through the complexities and the wealth of detail to be taken in. Familiarity and practice will ease the task, but so much information will always need you to refresh your memory and check some things at times. Thankfully the rule book is very navigable on those occasions. The beginner's rule book is identical in quality and layout, but the rules themselves occupy a mere 8 pages out of 12. You can imagine that there has been a great deal more paired away than the two important areas I've mentioned earlier. This leads me to the conclusion that the Beginner's Box is exactly what it says. Not only would I see it as designed for those wanting to dip a toe very lightly in to the BattleTech game and its universe, but for the beginner to this type of miniatures/board game hybrid and possibly to the gaming world in general. To tempt you further, the box also includes a sample of MechWarrior cards that introduce the pilots of these mighty machines, a booklet containing a short story, The Golden Rule, set in the BattleTech universe and a quick Guide to the Inner Sphere [i.e. the universe of BattleTech and its conflicting Houses] . If the contents aren't enough to tempt you, then the exceptionally low price of $19.99 should. I can think of few "starter sets" priced so reasonably and of such good value. Helpful though I found it in easing me into learning the system, for most gamers it will only serve as an incentive to buy the core box. This too, on top of all the key components I've discussed, sports its own different short story booklet that develops the story in The Golden Rule, more MechWarrior cards, two identical Player Aids containing the many tables interspersed throughout the rule book for easy reference and also some Alpha Strike cards. The latter relate to a separate faster playing form of BattleTech, which will undoubtedly be another temptation to buy and expand. The core box too at $59.99 seems equally good value in all respects. This is already a well documented, immersive world that has been supported and extended repeatedly with many expansions, story books, CCGs... The rapidity with which both these new packages have flown off the shelves indicate that there's a great enthusiasm both among new gamers and BattleTech's many existing devotees. I can see these stomping on for many years to come. Thanks as always to Catalyst Games Lab for providing the review copies. Below are three excellent tutorial videos on game play. Antipater, Parmenion, and Antigonos belonged to an earlier generation than Alexander. All three were contemporaries of Alexander's father Phillip II. 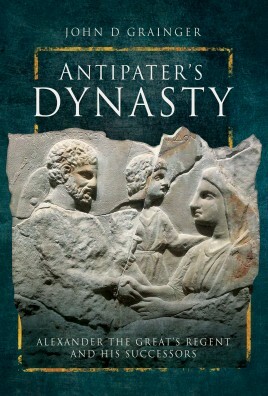 Antipater was to be in charge of Macedon while Phillip II invaded the Persian Empire. Parmenion was actually in now a days Turkey acting as the first invasion force and intelligence gathering mission. Antipater lived longer than Alexander, and was one of the few Successors that remained true to Alexander's heirs. It has been thought by some historians that Alexander was planning on killing Antipater had he lived. The other story told is that Antipater had Alexander killed by poison brought to Babylon by his son Kassander. So, this is the story of both Antipater and his children and grandchildren, etc. The author, John D. Grainger, is one of my favorites. In this book, along with his others, he is able to take events from more than 2000 years ago and make sense of them. The first part of the book deals with Antipater and his up and down in his relationship with Alexander. As Alexander aged, his thirst for blood increased exponentially. For Antipater to have even lived to see Alexander's death was quite an accomplishment. Strange as it seems, Antipater did not make his son Kassander his heir. He appointed Polyperchon to that role. Unfortunately this meant much misery for Greece. His daughters' marriages only helped to break apart the Macedonian Empire into the separate Hellenistic Kingdoms. Kassander's supposedly obsessive hatred of Alexander is also gone into by the author (the well known head-banging incident), although he doesn't take it as gospel. Kassander's sons' greed and inability to co-rule made certain of the family's fall from being rulers of Macedon. Antipater, through his daughter Phila's descendants (who was the mother of Antigonus Gonatus), ruled Macedon until the Roman conquest (Antigonids). A great book by a great author on one of the most important of the Diadochi.